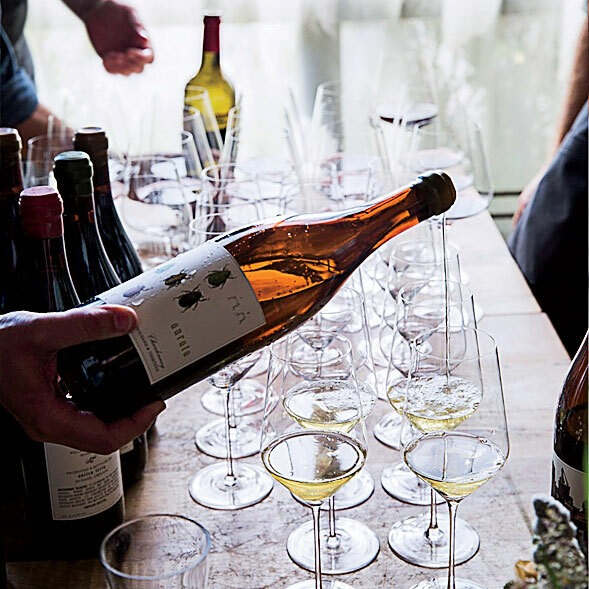 There’s more than just award-winning wine in Willamette Valley. Tear out our fun-packed itinerary and enjoy your pinot with a side of stellar views and food. Late summer, just before harvest, is hands down the perfect time to visit Oregon’s Willamette Valley. From Portland, drive an hour southwest of the city to the tiny town of Newberg. From there, wineries and vineyards dot the hills, welcoming visitors with a laid-back vibe that’s hard to find in flashier regions like Napa Valley. Pinot Noir is definitely the king of grapes in these parts, but there’s world-class Chardonnay here as well—not to mention Pinot Gris, Riesling, Gamay, Trousseau and more. It’s all best enjoyed while the sun is shining and the vines are heavy with ripe grapes—so what are you waiting for? Start your day in the pit stop town of Dundee, at Red Hills Market (155 SW 7th St., Dundee), a rustic winemaker hangout with killer egg sandwiches (fried eggs, Carlton Farms bacon, sharp cheddar and spinach on sourdough). Expert move: Zap yours with the Portland-made Secret Aardvark hot sauce that’s on every table. But don’t use too much—you’ll need your taste buds later on. 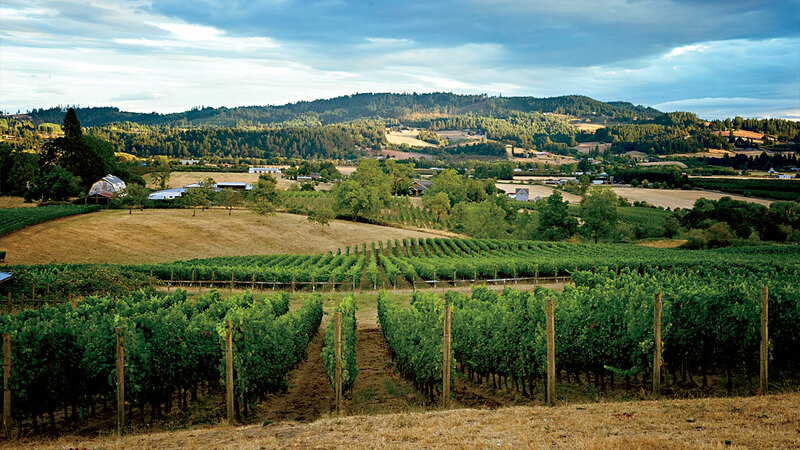 A quick 15-minute jaunt through vineyard-strewn hills takes you to one of Willamette’s benchmark wineries, Bergström (18215 NE Calkins Lane, Newberg). Owner/winemaker Josh Bergström’s gorgeous Pinot Noirs are a liquid key to the region’s various terroirs. And don’t miss his savory 2014 Sigrid Chardonnay, a blend of fruit from the winery’s five estate vineyards. Drive 10 minutes to Newberg for lunch at Ruddick/Wood (720 E. First St., Newberg). In a renovated 1920s garage, chef Paul Losch draws from local farms, orchards and cheesemakers for his delicious take on upscale roadhouse food. Go for the roast chicken and chicory salad topped with crushed hazelnuts (another major Willamette crop), and pair it with a glass of earthy 2013 Brick House Cascadia Chardonnay off the Oregon-centric wine list. Reserve in advance for the afternoon tasting at Maggie Harrison’s Antica Terra (979 SW Alter St., Dundee) Harrison pours her highly sought-after cuvées alongside four or five top international wines—like Ulysse Collin’s rare Les Pierrières Blanc de Blancs Champagne or Jean Foillard’s supple 2015 Cuvée Corcelette Morgon—that have inspired her winemaking over the years. David Adelsheim, a founding father of Oregon Pinot Noir, planted his first vineyard in the Chehalem Mountains in 1972, at the dawn of Oregon viticulture. You’ll hear why he chose this area while touring the winery’s Calkins Lane Vineyard, then sit on the terrace in the sun for a tasting of five current releases, such as the silky 2014 Caitlin’s Reserve Chardonnay, full of spiced pear notes. Head back to Newberg, to the most luxurious property in the area, The Allison Inn & Spa (2525 Allison Ln., Newburg), where the spacious rooms look onto vineyards and tree-lined hills. Mellow out with the spa’s Oregon Rain Shower treatment—a massage under an indoor waterfall—then have dinner at Jory restaurant, where chef Sunny Jin creates ambitious, Pinot-friendly dishes like Quinault River steelhead with ivory lentils, pine nuts and a cara cara emulsion. Amity), about 30 minutes away, just outside the tiny town of Amity. If you can plan to be here on August 21, when the US will experience a total solar eclipse for the first time in 38 years, consider booking Brooks’s special solar eclipse event (Oregon is the first of 14 states in the totality path). Starting at 8 a.m., it includes a sparkling wine brunch, a talk by an astrophysicist and, of course, total darkness for about 10 minutes. Burgundy’s famed Drouhin family recognized the potential of Oregon for Pinot Noir early on, founding Domaine Drouhin (6750 NE Breyman Orchards Rd., Dayton—about 20 minutes from Brooks) in the late 1980s. Take a seat on the tasting room’s expansive terrace to look out over the Dundee Hills and the estate’s 225 acres, and make sure to taste the floral 2015 Roserock Chardonnay, from the family’s brand-new vineyard project in the Eola-Amity Hills. .
At nearby Soter Vineyards (10880 NE Mineral Springs Rd., Carlton), climb the winding road to the airy tasting room for picture-postcard views over the vineyards. Reserve in advance for the Provisions Tasting, which features ambitious pairings like chèvre crostini with wild nettles alongside the winery’s crisp 2012 Mineral Springs Sparkling Rosé. With six different wines and seven or eight small bites, it’s the perfect wine country lunch. Drive 15 minutes northeast to McMinnville, Willamette’s most bustling wine town, and park in front of the low, rambling wooden building that houses Eyrie Vineyards (935 NE 10th Ave., McMinnville). Founded by David Lett in 1965, it’s now run by his talented winemaker son Jason. Make sure to taste the gossamer-textured, utterly elegant 2013 Original Vines Pinot Noir, from some of the first Pinot vines ever planted in Oregon. A quick walk takes you to McMinnville’s Granary District (SE Alpine St. between 5th & 8th), a cluster of old grain warehouses repurposed into urban wineries, breweries and shops. Hit Dominio IV for winemaker Patrick Reuter’s innovative, visual approach to tasting, then amble over to Brittan Vineyards to try Robert Brittan’s superb single-vineyard Pinots. For a pick-me-up, check out Flag & Wire Coffee’s top-notch single-origin brews. . 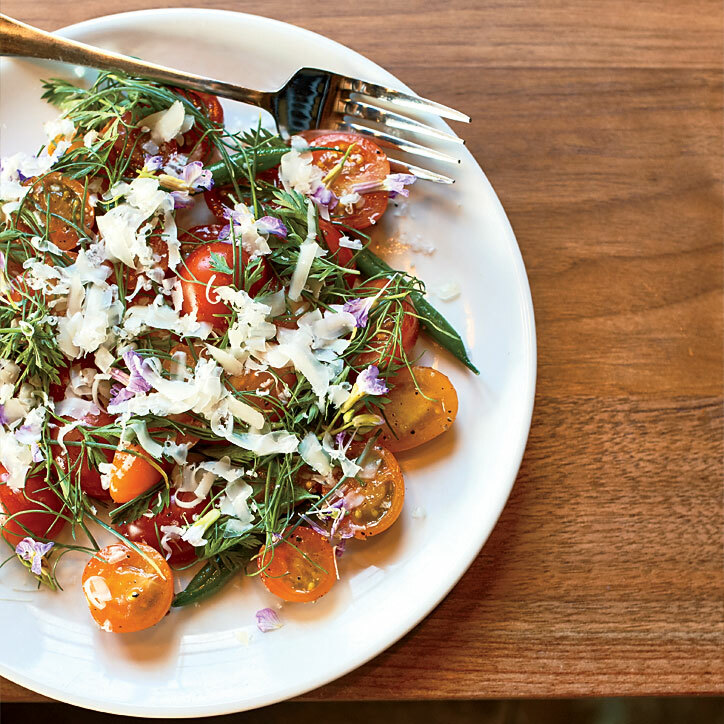 Housed in an 1880s building with an eclectic-retro style (i.e., there’s still an old rotary phone on the wall, and it still works), Thistle (228 NE Evans St., McMinnville) is a popular spot for locally sourced seasonal dishes such as tender gnocchi with favas, morels, tomato and watercress, or ling cod with lobster mushroom, crayfish and peas—the latter excellent with a glass of crisp 2015 Clover Pinot Gris from McMinnville’s Goodfellow Family Cellars. McMinnville’s 3rd Street Flats (219 NE Cowls St. McMinnville) offer the ease of a bed-and-breakfast with the style and sensibility of a boutique hotel. Stay in the Olio e Aceto flat, which has a cook’s kitchen, so that tomorrow, after a few more winery visits, you can whip up dinner and enjoy it with one of the many terrific bottles you’ve acquired during your Willamette tour.